A few months ago, I got ambitious one day and whipped out a solid combo of Teva Originals and some rag wool socks. Despite it not being nearly as egregious as oh say white tube socks and Birkenstocks, it nevertheless has had an extremely polarizing effect on both friends and family. Some have mocked me endlessly for perpetrating such an appalling fashion faux pas. While others have full-on told me that they're also going the way of the Teva. I decided to trace back the route that led me to believe that the sandal and the sock can live together in fashion harmony. 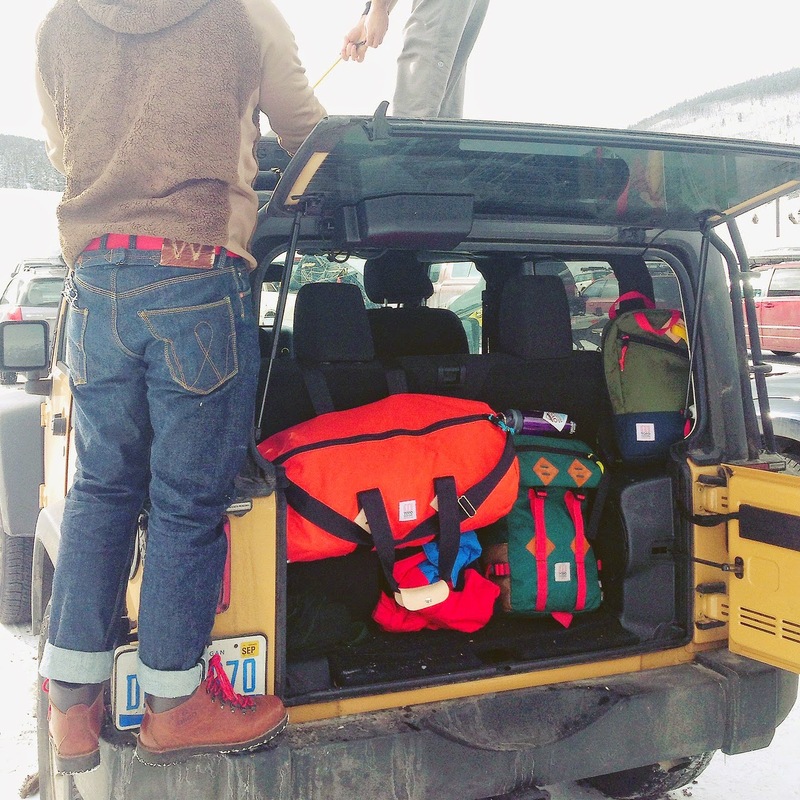 As far as I can tell, this current look got its start when retro Oregon- and Colorado-based campvibes brands like Poler and Topo started making gear about two years ago, specifically bags with that classic early ‘90s motif. I noticed that not long after these brands started doing their thing, the styles I wore in high school began making their way back into my closet. It’s this combo of denim/chambray, hiking boots and fleece/rag wool sweaters, with random pops of color mixed in. I started a Pinboard called campvibes not long after that, dedicated to this look and stumbled on a Tumblr curated by a Japanese blogger called Miatagod. It was packed full of these amazingly colorful, East-meets-West images of camping-inspired clothes including sandals with socks. I love scrolling through this cleverly curated collection cuz all of the sudden, it made fashion feel fun. 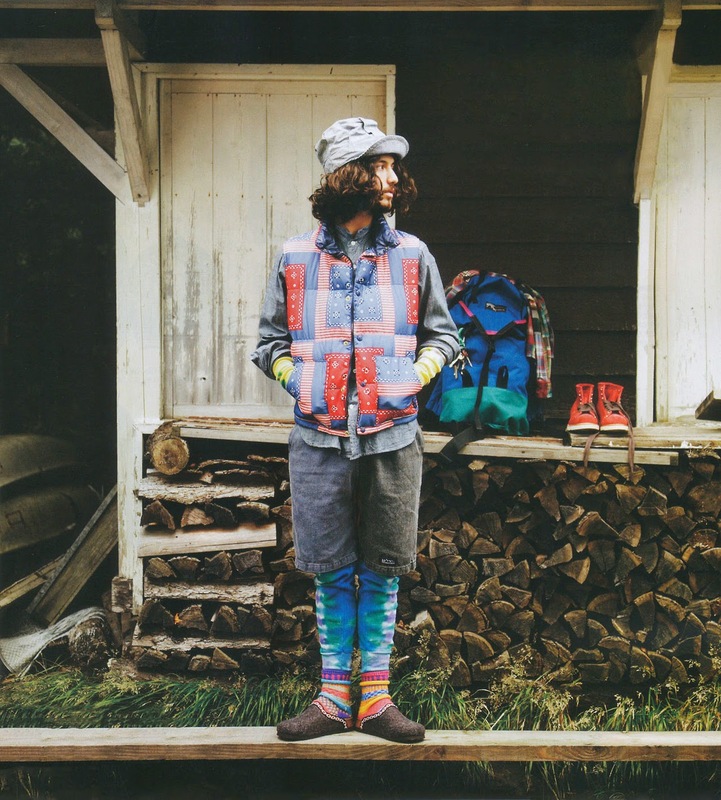 At just about this same, Teva reintroduced their line of Originals with colors and patterns that’d feel right at home along side this fun look and feel I’ve been geeking out on. Here’s a peek at their lookbook vid that rounds out this vibe. It certainly doesn’t feel to me like this is just a fad. I see a longer term trend that continues to blend comfort and style, as do others. It’s a trend that infuses fun into fashion and celebrates a form that falls out of function. When the image of me sporting my Teva Originals plus socks was originally posted, it got its fair share of both flack and fandom. One fan in particular was the social media team @Smartwool. They also instantly recognized the long term trend at play here and decided they were in. @struck @kyality @teva Think you need to step up your #sock game if you're going to blast your toes. That's just me though. @kyality @struck @Teva direct me your email and we can connect, aka, hook it up.